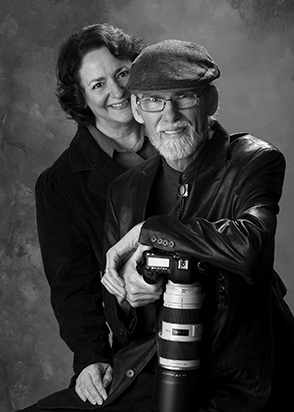 My wife and I are the founders and operators of a full service portrait studio, known as The Storytellers, located in Meridian, Idaho and have been creating internationally award-winning images for over 25 years. We've been witnessing a significant shift in the photographic community with the influx of so many new under-educated photographers wanting to become professionals. We were so alarmed by the image quality among these new professionals as well as the decline in image quality from “old pros” after having made their switch to digital that we, as former educators, felt compelled to create Light at the Edge--an educational experience to elevate the quality level, and thus the profitability, of the profession. To accomplish our goal we are offering truly customized one-on-one training, collaborative small group training, and we will soon have a self-study program for those wanting to develop their skills independently. If you compete in print competition and you’re regularly scoring 100’s on your images, then Light at the Edge may not be for you. But if you want to set yourself apart from your competition, improve your skills, and develop a really polished look to your images, then get yourself into one of our courses and stay a while…you just might learn something. We look forward to seeing you in our next class. For those interested in credentials, I hold a PPA Masters Degree, an APM and AOPA degree from WPPI, F-PPC, S-PPC, F-PPSCV, S-PPSCV, both of us were part of the Fuji Talent Team, and Kathi has been winning awards for her images and album designs for years and has been my right (and sometimes left) hand for all the years we have been in business. Don't forget to join our newsletter!